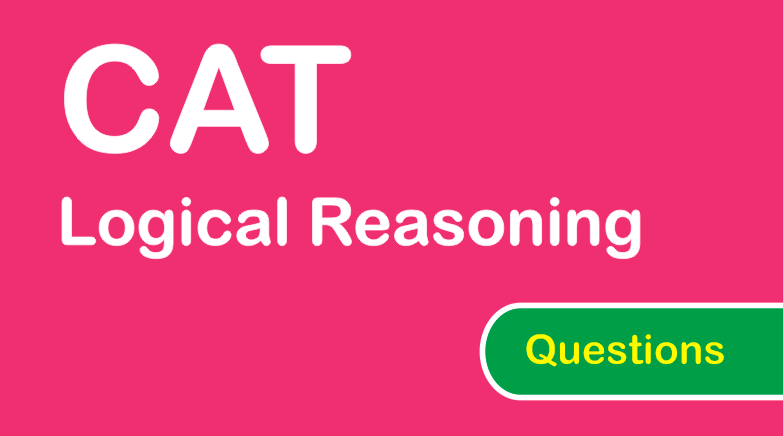 CAT logical reasoning questions, in recent years, have been unconventional and of higher difficulty level. These sudden and unexpected changes have made it difficult for the aspirant to find a good source for practicing Logical reasoning questions for the LRDI section of CAT exam. To facilitate better learning, we have also provided Logical reasoning questions for CAT with video solutions In each of these explanations, a structured and step-wise method has been implemented to arrive at the answer logically. In addition to this, most high difficulty logical reasoning questions have textual solutions, which most aspirants find difficult to comprehend. In this section, we have provided a few varieties of logical reasoning questions or puzzles for practice. All the reasoning sets here are in tune with the CAT exam. These sets are of different types. Some are of the conventional type logical reasoning sets but have difficulty, while others are similar to the logical reasoning sets that you will find in the recent CAT papers. combine the conditions to interpret the possibility of conclusive information and put the data and info on the structure. In case of insufficient conditions, scan the question to figure out if we can answer some of the questions. There may be some conditions stated in the questions. Combine these conditions with existing conditions to figure out the answer.